All major religions of the world are expecting him. Christians know him as the Christ. Jews are still awaiting the Messiah. Hindus anticipate the coming of Krishna. Muslims are expecting the Imam Mahdi. And Buddhists call him the Fifth (Maitreya) Buddha. The names are all different, but many believe they all refer to the same person: a world Teacher who is among us now, and is called Maitreya. But he does not come as a religious leader. He is here as a guide for people of all religions, all countries, all societies. In this age of crisis, he is here to inspire all of us to put down the sword of religious, social, and economic strife, and to seek justice based on sharing and global cooperation of the human family. His message is that of all great teachers of the ageless wisdom: peace, love, the golden rule. Some very prominent world leaders and celebrities, and many others, are aware of Maitreya�s reappearance, but are not yet prepared to go public due to the possible effect on their professional reputations; however, many believe that it�s just a matter of time before everyone will recognize that the world teacher is back, living among us. 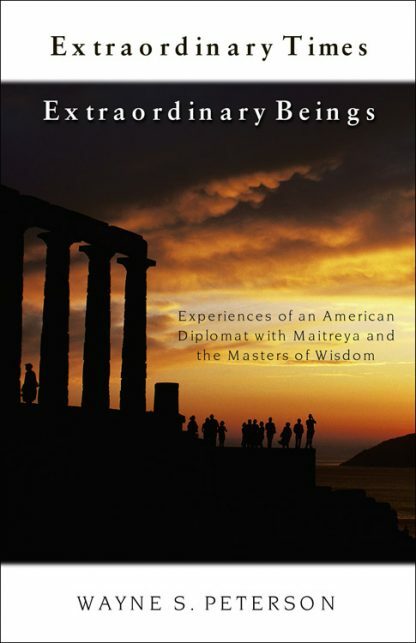 Wayne Peterson, a former American diplomat and director of the Fulbright Scholarship program, tells the story of his own extraordinary encounters with Maitreya, and why Maitreya has returned. It is a story of strange, fascinating events and penetrating wisdom and an inspirational message of hope for the future. It is a story that deals with nothing less than humanity�s opportunity to redefine its institutions and beliefs based on the ancient wisdom common to all traditions. Above all, it is a story, both personal and planetary, of love, and of those extraordinary spiritual beings who embody it to the world.